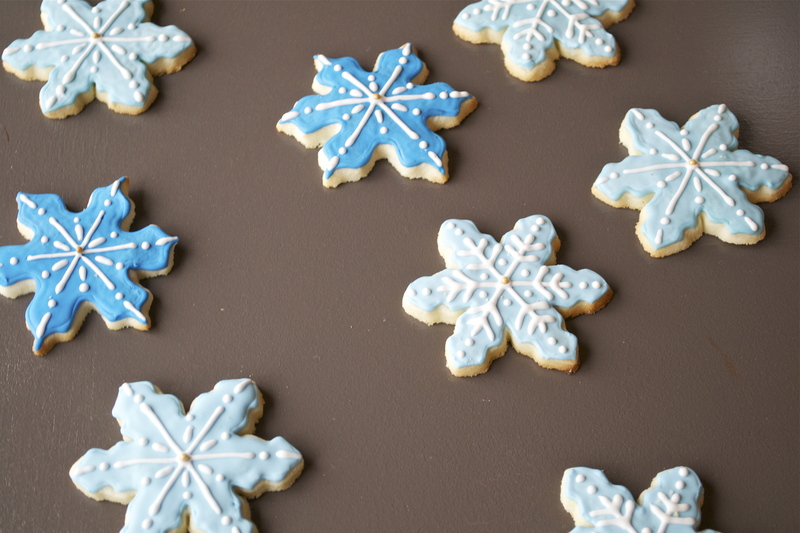 It seems as though everyone has a sugar cookie recipe, some perhaps passed down through the generations. My family (hi, Mom!) had a sugar cookie recipe torn out of some magazine – probably a Better Homes & Gardens, or maybe a Woman’s Day. Every year it seems we’d lose this scrap of paper, and every year we’d search and inevitably find it, vowing to put it somewhere we’d remember to look first the next year. These days my sugar cookie recipe is straight-up Betty Crocker in a bag, rolled out with a miniature children’s rolling pin, complete with bitty cookie cutters, frosted with out-of-the can vanilla, dyed in an array of colors. They make the perfect bite-size, pop-in-your-mouth cookies. Though I’ve got to say, as easy and delicious as ol’ BC is, I do miss the tradition of making the whole thing from scratch. 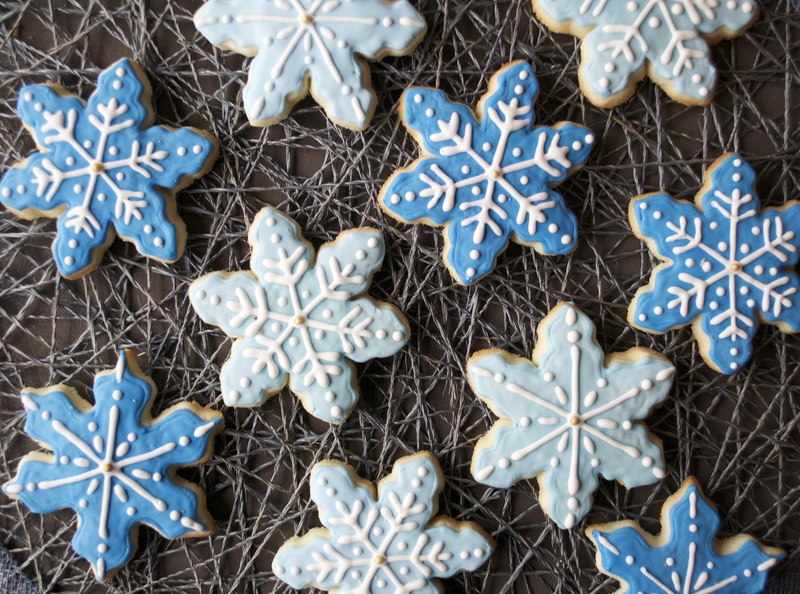 I’ve got you covered, or rather Megan, from A Dash of Megnut, has your holiday sugar cookies covered, with a regular and gluten-free option, for those of you with allergies and sensitivities. 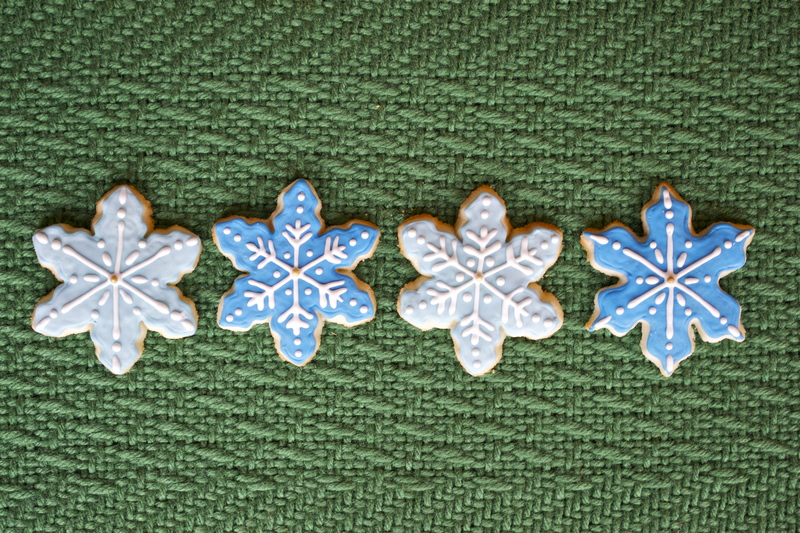 She’s shaped these lovely snowflakes into beautiful creations, complete with gorgeous royal icing. For the instructions, head over to A Dash of Megnut! Megan’s got an awesome blog, with a TON of gluten-free and vegan recipes.